Sophisticated ParkAdvance™ parking system technology from WPS, one of the UK’s leading parking equipment manufacturers, is to be installed at the Cleveland Centre, a recently refurbished shopping centre complex in Middlesbrough’s town centre. ParkAdvance™ is a pay-on-foot system which is ideally suited to shopping centre environments where the customer experience is vital and reliability and flexibility are key. It features a new IP-based operating system architecture that enables the parking system to simply and directly connect with multiple technologies being deployed in car parks both now and in the future. 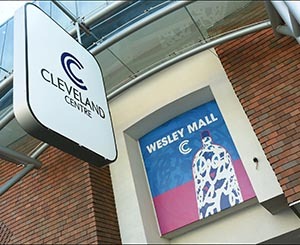 Cleveland Centre is home to more than 60 stores and has over 600 car parking spaces.